Batting: Ravi Bopara 50 runs off 34 balls, JL Denly 28 runs off 14 balls. Bowling: Sunil Narine 2/18 in 4 overs, Yasir Shah 2/25 in 4 overs. Target: 160 runs from 20 overs. Batting: Brendan McCullum 44 runs off 30 balls, Fakhar Zaman 19 runs off 15 balls. Bowling: Shahid Afridi 3/19 in 4 overs, Usman Khan Shinwari 3/26 in 4 overs. Result: Karachi Kings won by 27 runs. 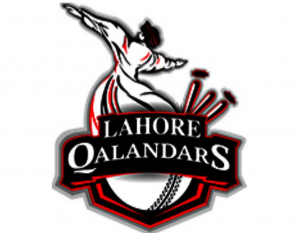 “Insanity is doing the same thing over and over again and expecting different results.” This is a quote which perfectly sums up Lahore Qalandar’s profligacy and inability to learn from their mistakes. Mistakes which are obvious and, which should be, fixable. Their gung-ho approach to T20 cricket on the slower tracks of Dubai once again meant that they ended up on the losing side. For all the firepower in their batting lineup, they lack the composure and tact of their rivals in chasing down targets. 2. The Lahore outfits bowling has also been prone to mistakes and lethargy when in good positions. The Karachi Kings were stumbling their way to an uneasy 140 or maybe even less around the 15 over mark. However, Ravi Bopara’s experience and the bowlers’ ineffectiveness meant that they posted a solid total of 160. 3. The spinners dominated the proceedings. Both Sunil Narine and Yasir Shah did well for the Lahore team. But, like many times before, it was Shahid Afridi who grabbed the headlines and tipped the scales in his team’s favor. Shahid Afridi, backed up by Imad Wasim, pressured Lahore’s fragile middle order and made it cave in. 4. Karachi Kings maintain a hundred percent record with three wins out of three and are atop the leaderboard. Lahore Qalandars languish at the bottom of the standings and have yet to register a victory.